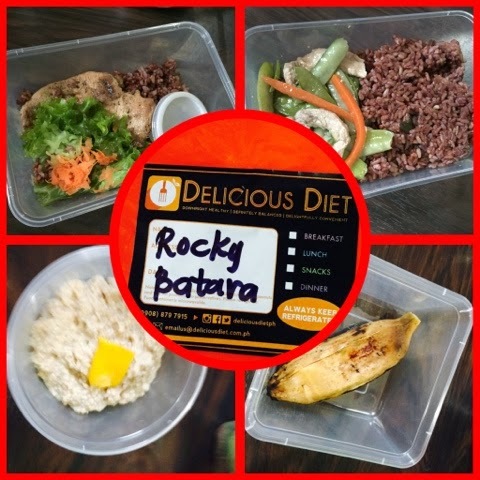 Yours truly Runner Rocky is now enjoying a healthy and delicious foods from Delicious Diet. Since Monday of this week, fresh meals from them were directly delivered in my home. In my previous post, I've showcased with you the first day of meal sets from Delicious Diet. Four set of meals completed my whole day with freshly cooked foods for breakfast, lunch, snack, and dinner. On my next post, I will share with you my third day of Delicious Diet. Oh yes, I truly enjoyed their meals. They give a new meaning to the term "diet". And they give a brand new taste and a brand new look to the usual foods that we eat. Well, if you want to experience Delicious Diet, you may visit and like their page at www.deliciousdiet.com.ph. You may even follow them in IG and Twitter via @deliciousdietPH or send them queries via emailus@deliciousdiet.com.ph.